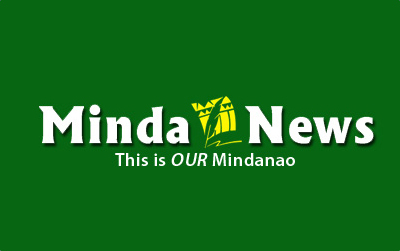 DAVAO CITY (MindaNews/09 August) — Blaming the Arroyo administration for Mindanao’s energy problem, President Benigno Simeon Aquino III in his State of the Nation Address on July 22 said his administration is exerting efforts to stabilize the island’s power situation. In his nearly two-hour SONA, the President stressed that the recurring blackouts in Mindanao made up the long list of problems that he inherited from the past administration. “From the very beginning, we have been working on a solution for this – but we are also aware that a problem that has been ignored for an entire decade cannot be solved overnight,” Aquino said in the English translation of his SONA released by Malacañang. “Right now, we continue to take steps to address the shortages as well as provide for immediate needs. We have helped electric cooperatives bring in generator sets (gensets) that will reduce brownouts; and this will continue until the plants that will supply the region with more electricity are completed,” he added. Aquino, however, admitted that the plan of the government to introduce gensets is facing resistance. “But the critics will never fully disappear. Some are complaining that the price of electricity will increase with the usage of diesel-fueled generator sets. Hydropower is abundant now because of the rainy season, so we hear objections to the generator sets. But come summer, many will once again complain about eight-hour brownouts,” he said. “Do we really want to wait until our plants are at full capacity before more plants are built? Power plants do not sprout like mushrooms – a power plant takes two to three years to construct,” Aquino said. Aquino challenged his critics to present solutions. “If anyone has a good suggestion, we are ready to listen. But I also hope that the kibitzers put the situation in the proper context. The plant in Redondo, Zambales, is a good example. A TRO was issued against the plant because of the argument that renewable energy is better. Did they happen to mention that renewable energy is also more expensive—from the cost of building the plants to the eventual price of energy? Did they mention that it cannot provide the baseload—the capacity required to make sure brownouts do not occur?” the President asked. “If you put up a wind-powered plant, what do you do when there is no wind? If you put up a solar plant, what do you when the sky is cloudy? Let me be clear: I believe in renewable energy and we support its use, but there should also be baseload plants that can ensure a steady supply of electricity for our homes and industries. I wonder if those who are critical of the plants we want put up will be as noisy when they are busy fanning themselves during brownouts. All I am really saying is this: Let us help each other find a solution,” he said. “Even on a cloudy day over Malacanang, the solar panels can still capture the light and energy can be stored and they can enjoy energy still,” she said, adding that if the President and his advisers “do careful, independent search on Renewable Energy, they would surely bump into very good models of long-term, people-friendly, sustainable energy,” she said. “It is not funny that they have voluntarily turned themselves into political green jokes in favor of corporate reductionists,” Lindo added. No movement in terms of percentage share (1%) is expected between 2013 and 2020, for biomass and solar energy, which will remain at 1% each by 2020. But in seven years, coal’s dominance in the power generation mix of Mindanao at 56% by 2020 will have been twice its percentage share of 28% by 2016 and almost six times the present 10% share. Geothermal power, another renewable source, is at 5% as of 2013 to 6% by 2016 and down to 4% by 2020. Prior to the last May 2013 elections, parts of Mindanao suffered rotating brownouts lasting up to eight hours daily due the generation deficiency of government-run hydropower power plants, which was partly blamed on low water levels in Lake Lanao, aside from the deterioration of the aging plants. Already under construction are the 300-MW Therma South, Inc. coal-fired plant in the boundary of Davao City and Sta. Cruz in Davao del Sur and the 200-MW coal power plant of Sarangani Energy Corp. in Maasim, Sarangani. Santiago Tudio, manager of the South Cotabato I Electric Cooperative, stressed that swift government action is badly needed on the immediate and long-term solutions to the power problems facing the island. “To address the power shortage problem, permits for gensets and ERC (Energy Regulatory Commission) approval should be fast-tracked,” he said. Romeo Montenegro, MinDA director for investment promotion and public affairs, said President Aquino has already issued Executive Order 137. 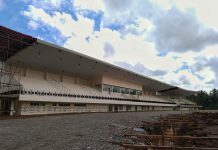 “The MinDA expects EO 137, which mandates the implementation of the Mindanao modular gensets program to firm up and fast track the process of assisting electric cooperatives in Mindanao through the Association of Mindanao Rural Electric Cooperatives (AMRECO), to generate direly needed capacities either via rental or acquisition option,” Montenegro said. Department of Energy, early this year concurred with the proposal for the tapping of modular generator sets as an immediate measure for electric cooperatives in bridging supply gap for the next two years, he added.